 Aziz, Founder of Master the Crypto	Hi everyone! I'm Aziz and I'm a seasoned cryptocurrency trader who's really passionate about 2 things: 1) The awesome and revolutionary technology underlying Cryptos (Blockchain) 2) Making a ton of money along the way! I've been investing cryptos for awhile now, and the returns are mind-blowing. Imagine earning 500% within 3 months. You absolutely cannot generate these returns using traditional investment alternatives. Earning multiples over your capital is really the norm in the cryptocurrency world. But the journey along the way is extremely tough especially for someone like me who prior to this, had no tech knowledge. The challenge in the crypto world is filled with computing jargon and volatile prices that WILL deter many. But the potential of the Blockchain technology and the ability to make a massive amount of money should be an opportunity for all to grab! My investment thesis involves fundamental white paper research, technical analysis (looking at price movements) as well as evaluating market sentiment. So far, the culmination of my investment knowledge and decisions have been rock solid. I started trading on my own because I believed in the tech and possessed considerable experience in financial trading. I've made so much that I feel it's selfish for me to just keep the knowledge and strategies all too myself. As of now, almost all of my immediate family members and close friends are invested in cryptos, and making lots of money. That's a stunning achievement considering they have close to zero tech or trading knowledge. My objective is to share with as much people the beauty of the tech and the skills needed to navigate the crypto world. I'm gonna share with you a trove of valuable tips, resources and strategies on making money in the crypto world. Let's build an awesome community and make loads of money along the way!